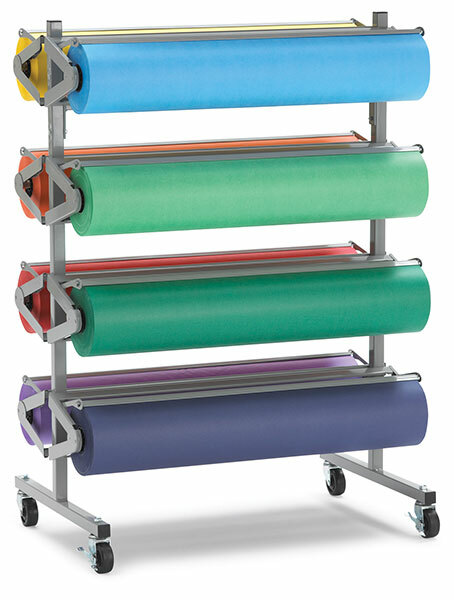 A deluxe paper rack for 36" wide rolls only. It's constructed of welded and formed steel for a lifetime of service. 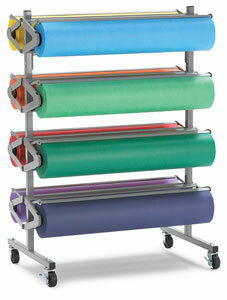 It holds 8 rolls, and has self-adjusting blade paper cutters and heavy-duty casters.